Two birch trees connected by a woody root. 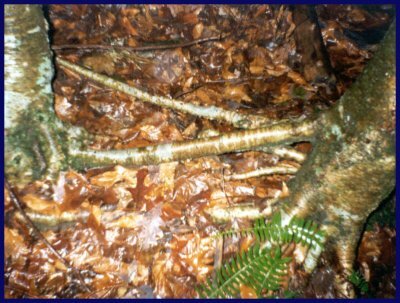 Fungi is a key connector in a forest. Abiotic forces and biotic agents are connected by light. All living things are made up of cells (little jelly bags) connected by electrical current. Cells are the basic unit of life.